Buying A House On Contract - 7 Mistakes To Avoid! 1. Not allowing sufficient time to secure funding- Buying a house on contract is common today, in part because it is difficult to secure a loan. One of the biggest mistakes made in the steps to buying a house using a contract is a failure by the buyer to allow enough time to secure funding, which can cause the deal to fall through. 2. Not having all signatures in place – Even the best home mortgage lenders make mistakes at times, and private contracts can include many errors. One of the most common is not having a required signature. If both spouses will own the property then both must sign, and if a corporation or other legally entity will be the owner then the required corporate signatures must be obtained for the contract to be valid and binding. 3. Not specifying all the items included in the house with the sale -When buying a house on contract make sure it is clearly specified which items will stay with the home. You may fall in love with the exquisite pond, faucet fixtures, and other items only to discover that the seller has removed and taken them. List everything that will be included in the sale in the contract, so there are no doubts. 4. Not including title search clause- Every buying a house checklist should include a title search section, and this applies to contracts for a home as well. A title search will ensure that you can gain access to a title for the home that is free from any restrictions, liens, or other encumbrances after the contract is paid in full. 5. Not making sure all contingencies are described in a contract – When buying a house on contract make sure that the legal wording of any contingencies included in the contract are clearly worded, and that the intent of the contingency clause is clear. 6. Leaving blank spaces – Whether you are buying a house with no money down or placing a twenty percent down payment always make sure your contract does not have blank spaces or large areas of space. If these are present then draw a line through them and write N/A in the space. 7. Not getting legal advice before buying – Buying a house on contract is a legal step, and you should always consult an attorney before buying any home using a contract. This step can save a lot of time, money, and aggravation in the future. Buying A House Checklist - Top 10 Things Not To Forget! 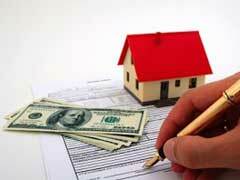 Buying A House After Foreclosure - 5 Secrets To Get Good Mortgage Rates! Buying A House With No Money Down - What Are My Options?